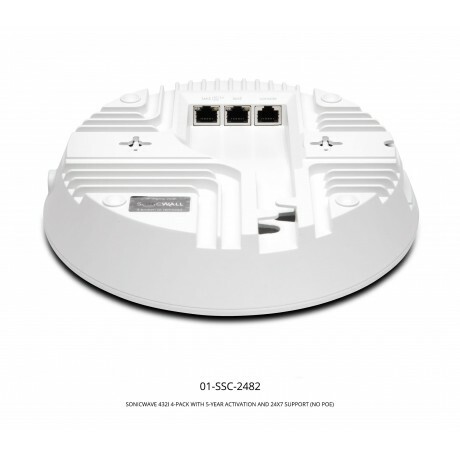 SonicWave APs take advantage of the capabilities in 802.11ac Wave 2 plus features such as band steering and a built-in 2.5 GbE port to deliver high-speed wireless performance. Other features, including 4x4 MU-MIMO and beamforming, improve performance in higher density environments when using bandwidth-intensive applications such as HD multimedia, and cloud and mobile apps. 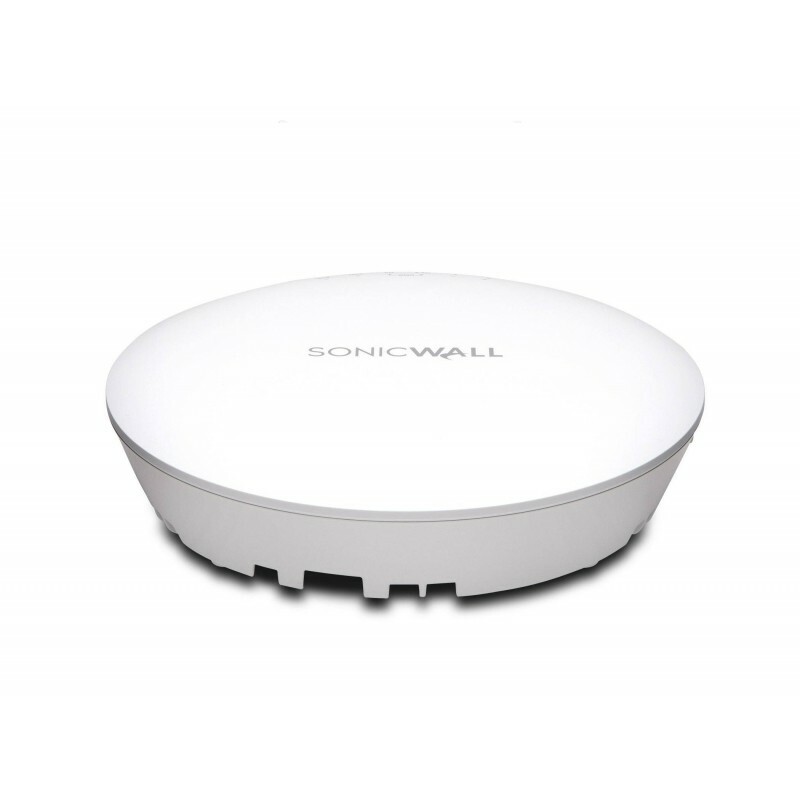 Each SonicWave access point includes three radios. One operates in the less crowded 5 GHz frequency band, reducing interference from other devices while strengthening signal reliability. Another operates in the 2.4 GHz band to support legacy 802.11b/g/n clients. The third radio is dedicated to security and performs rogue AP detection, passive scanning and packet capturing. With four transmitting and four receiving antennas plus support for 4x4 MU-MIMO, SonicWave APs are engineered to optimize signal quality, range and reliability for wireless devices including Wave 2-enabled clients. SonicWall firewalls scan all wireless traffic coming into and going out of the network using deep packet inspection technology and then remove harmful threats such as malware and intrusions, even over SSL/ TLS encrypted connections. Other security and control capabilities such as content filtering, application control and intelligence and Capture Advanced Threat Protection provide added layers of protection. The Wireless Network Security solution also integrates additional security-related features including wireless intrusion detection and prevention, virtual access point segmentation, wireless guest services, RF monitoring and wireless packet capture.